Obesity is something that we commonly see in cats. Overweight cats can be more prone to medical issues such as diabetes mellitus. It can also cause discomfort on their joints if they are older and have arthritis. Obesity can make cats more prone to fatty liver disease. 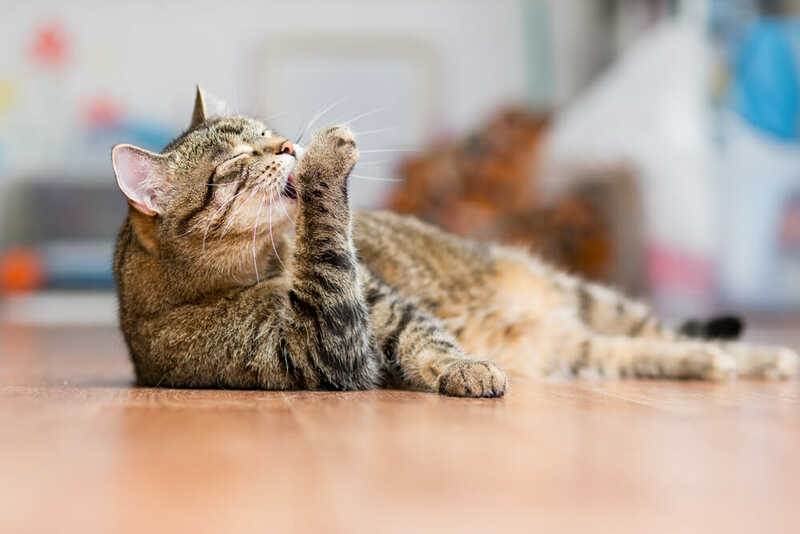 It could also worsen the clinical signs of cats that have asthma and make them more challenging to treat. You can tell if a cat is overweight by looking at them from above. You should be able to see a ‘waist’ between their hips and rib cage. Another way to tell is by feeling their side. You should be able to easily feel their ribs under a thin tissue layer. There are many ways to help your cat lose weight such as diet and portion control. Another way to help cats lose weight is by exercise. Try playing with a laser to get them running or get cat wands to get them jumping. Alternatively, you can try puzzle feeders. They help cats use their natural hunting instincts, and it helps to avoid gorge on their food. What is offered during a nutritional consultation? During a nutritional consultation, the cat is put on a scale so we can see what their current weight is. We then discuss the ideal weight or goal weight and how we can get there. We will also discuss diet options that are best suited for them. We will help work out their feeding amounts, and how many calories that they can intake in a day. After the consultation, we recommend bringing them back in a couple of weeks for a reweigh to make sure that we are heading in the right direction! Weight loss in cats takes time, but it’s well worth it for your feline friend’s overall health and longevity.